Above is a shot of Brighton Road Station in 1928 showing it's wooden platforms (photo: Clarence Gilbert). 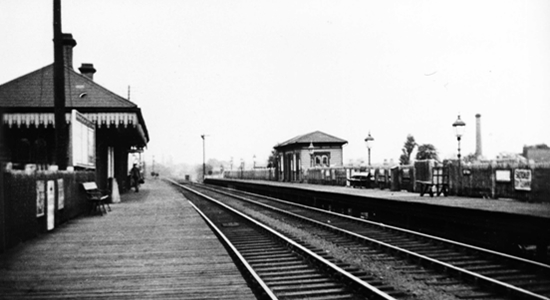 The station opened in 1875 on what was then the Midland Railway's Camp Hill Line. As with the other passenger stations on the line, it succumbed to 'wartime economy measures' in 1941 and never reopened. 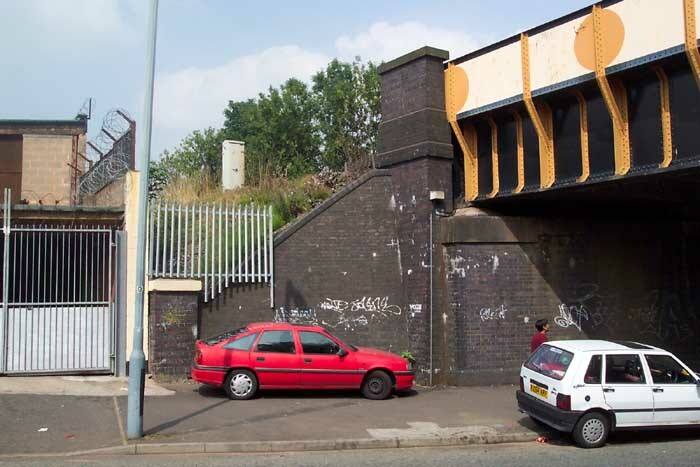 Incidentally, Brighton Road is situated in the heart of Balsall Heath which may go some way to explaining the dropping of 'Balsall Heath' from Camp Hill Station's title. Above-left we are on Brighton Road with the Moseley Road to our left looking up to what was the site of the Station. The gates lead to a car repair workshop and it appears that the rear of this site rises to track level - I imagine that this was the entrance to the Station but cannot be 100 per cent certain. 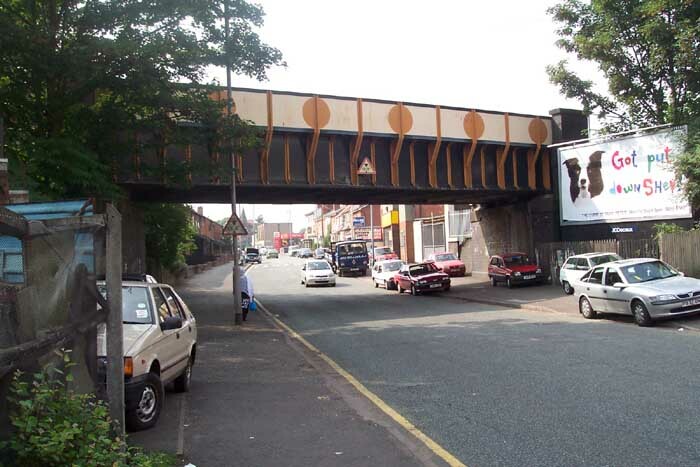 Above-right we are again on Birghton Road looking towards Moseley Road - the Station was to the right of the bridge. It is impossible to discern today whether or not any remains of the Station exist as the line itself is inaccessible from the roadway: considering the wooden nature of the platforms it does not seem likely!